The last month of the explosive European Tour. Tina started in Berlin, Germany at the 2nd of July followed by Hamburg’s Volksparkstadion the day after. Another open air concert for our Queen. With a huge attendance and an electrifying show, Tina waved the audience in Hamburg goodbye and left Hamburg for Essen. We would like to share a recording and photo’s of this concert in Hamburg. Enjoy! Tina’s concert in Essen is still something special today. People aren’t able to forget this concert, because the tourposters are still hanging on the wall under a bridge. Here’s the official ticket and a newspaper clipping of this particular concert going on sale. Finally Tina went to Denmark to perform a one night show in Copenhagen. 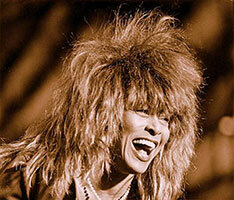 Tina had to postpone her Valby Hallen concerts in March because of a sinus infection. 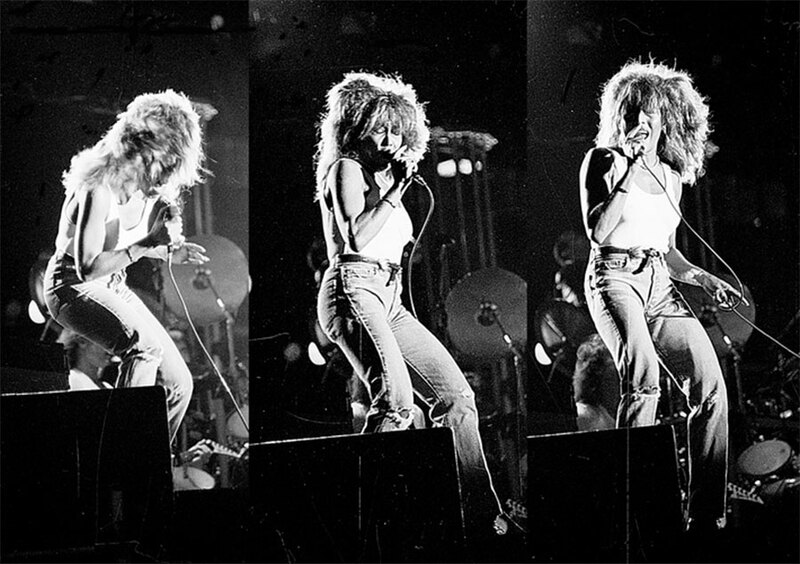 The audiences in March cheered for Tina when she promised to come back for them, instead of whistling her out. Her Danish fans were so happy to finally see her and the venue was completely sold out. 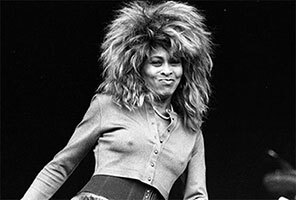 Here’s a recording of the concert in Copenhagen and a video of Tina performing on the OBS Denmark show. Have a blast!! 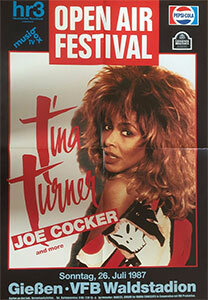 After Tina’s show in Copenhagen, she returned to Switzerland to perform at the Piazza Grande in Locarno. This concert became Tina’s most memorable moment. The stage was literally set up in the center of the town and became the most intimate and unusual concert of the tour. 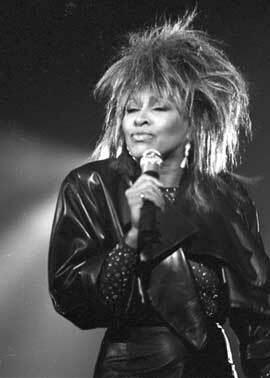 Tina saw fans and family’s sitting on the roofs and balcony’s in their night clothes enjoying her music and show. Unfortunately we don’t have any material to show you. If anyone has it, please contact us. We would love to see anything from this event. 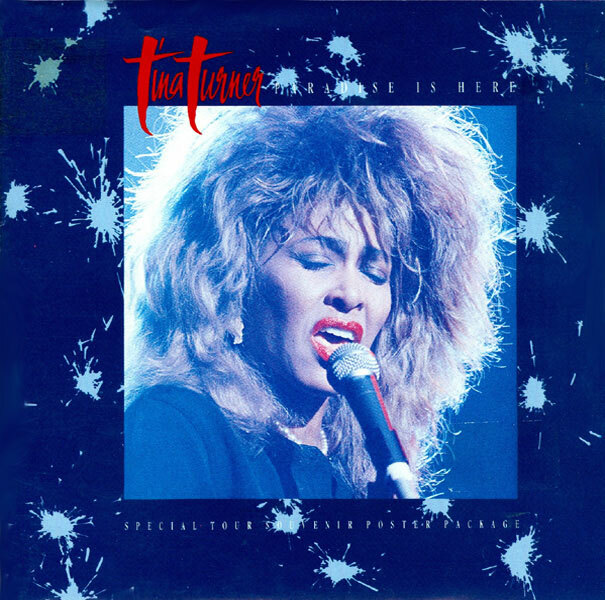 We assume that around this time Tina’s last “Break Every Rule” Album single was released. Of course we mean “Paradise Is Here“. “Paradise Is Here” is a very strong ballad which probably was the best contribution to the album. 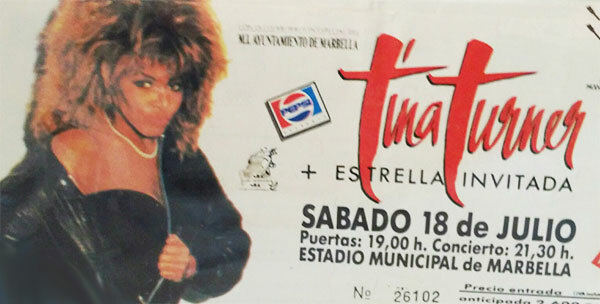 Clocks were ticking and Tina went back to France and Spain to some shows. 4 in France in 3 different cities. And 2 in Spain. Except for two Spanish entry tickets we can’t find anything for these concerts as well. Hello Israel!!!!! 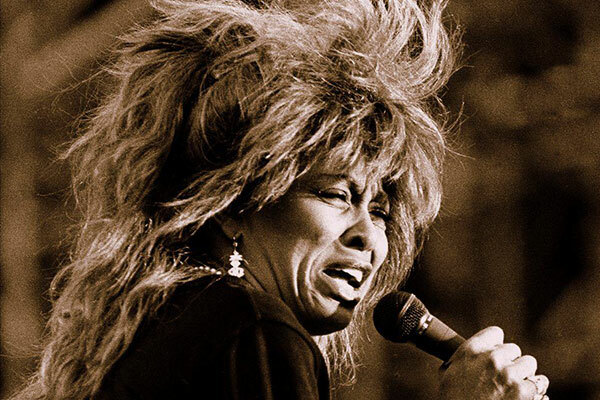 Tina flew off to Israel to perform 2 concerts in Tel Aviv. Here’s a small report of Tina’s arrival in Israel. Turner is in the Holy Land to put on two shows in Tel Aviv and gladly helped out Israel’s army radio, which tries to get a celebrity to give its wake-up call each day at 8 a.m.
She arrived in Israel earlier this week and – apparently still discombobulated by jetlag — woke up about 2 a.m. on tuesday and then rousted her bodyguards and agent to keep her company. After recording her good-morning greeting, Tina did a television interview and then back to bed. We have a special treat for you. 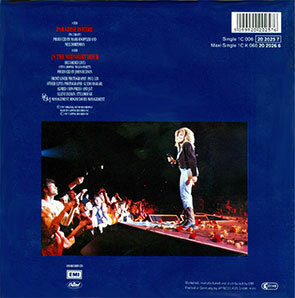 Instead of 3 songs we’ve uploaded the full Israel concert from the 22nd of July 1987 for you. No matter where Tina was, She always was on fire. And even in the Holy Land, she didn’t hold back to give a complete rock show. Enjoy All !! We go back to Belgium, Airport Ostende to perform 1 open air show at the Belga Festival on the 24th of July. 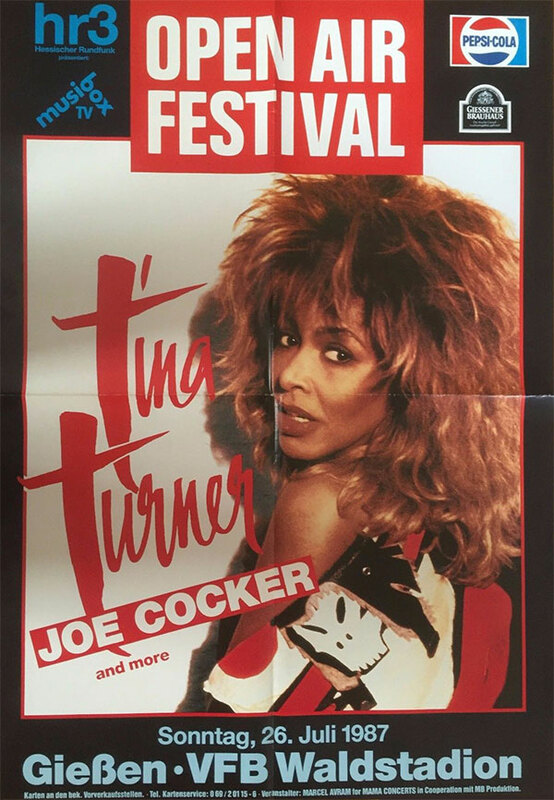 Tina has been very popular in Belgium for years and even though the had a great line up for this festival, Tina stole the show again. There’s not much info about it except for this video which shows a small clip of “Break Every Rule” in Belgium, followed by a clip of her performing in Paris. Enjoy!!! Time to finish the European Tour. 2 more dates to go. 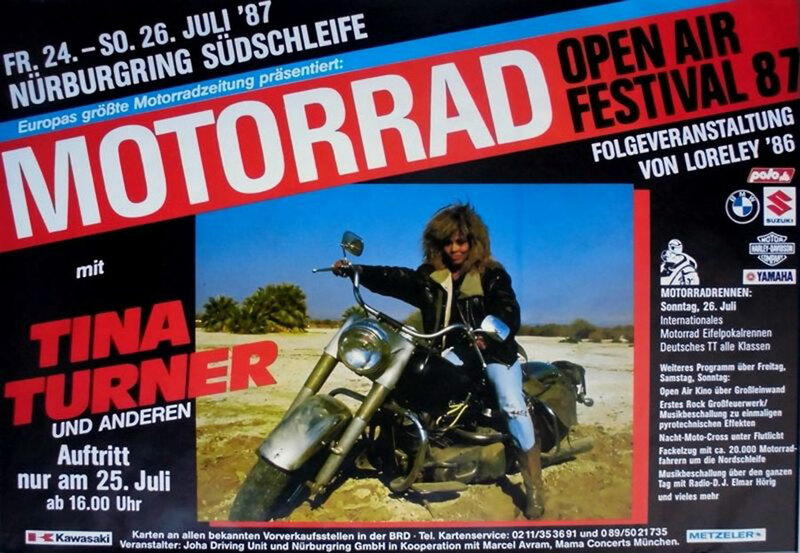 Tina started the tour in Germany and she also closed the European Tour in Germany. Tina left Germany with a bang by performing in front of another 100.000 fans in 2 days. The 25th of July Tina was performing during a festival in Koblenz. Followed by a concert in a stadion in Giessen on the 26th of July. We don’t have any material for both concerts, but we do have some other video’s from Germany before we close this European Journey. For instance we have an interview + performance of Tina at the German TV Show Na Sowas. Stay Tuned for our next post which considers the US Tour. See You ! !